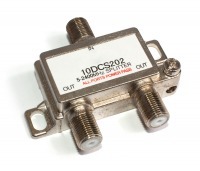 AV Splitters allow one input to be Split into two identical output signals. 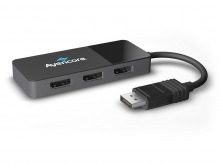 Ideal for Dual Displays (showing the same content) and commercial AV applications. 15cm DisplayPort Splitter Cable - MST Hub (Extend & Mirror) + FREE SHIPPING! 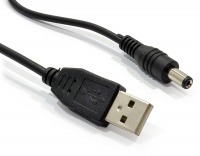 15cm Mini-DisplayPort Splitter Cable - MST Hub (Extend & Mirror) + FREE SHIPPING! 4-Way DisplayPort Splitter Cable - MST Hub (Extend & Mirror) + FREE SHIPPING! High-End Powered 16-Way HDMI Splitter with 3D Support + FREE SHIPPING! 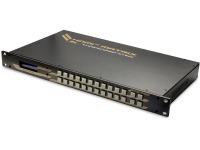 Send any Input source, to any output display, with these FOXTEL Compatible HDMI Matrix Switches! Avencore Halon Series HDMI 4x2 True Matrix Switch & Audio Splitter (Supports Ultra HD 4K@30Hz) + FREE SHIPPING! High-End HDMI 8x8 True Matrix Switch & Splitter (Supports Ultra HD 4K@30Hz) + FREE SHIPPING! 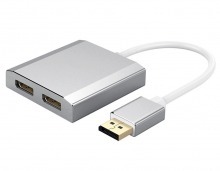 Avencore Platinum Series HDMI Audio Extractor (2.0CH / 5.1CH HDMI Audio Extractor) + FREE SHIPPING! 4 Way AV Distribution Amplifier (Composite Video, S-Video + Audio) + FREE SHIPPING! 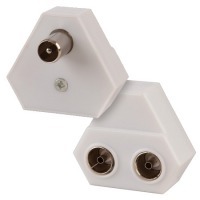 4x2 Fibre Optic TOSLINK True Matrix Switch with Remote + FREE SHIPPING! Most Popular AV Splitters! In-Stock & Ready to Ship!